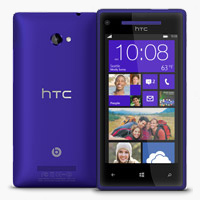 HTC 8X and 8S , Windows Phone Preview ! 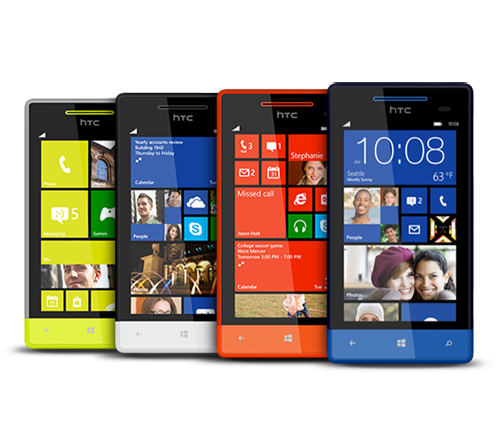 So, Nokia have advertised the life out of the new Lumia range and the Windows software it will be running, but now the guys over at HTC have released some specs and pictures of their new HTC 8 range. Im not going to spend all of this article talking about Windows Phone as I’ve already shown my excitement for it previously and wrote a few articles that concern it, as well as the Lumia 920 article, each of these can be found here .. These articles will give you a bit of an overview of Windows Phone 8, and what you can expect from it. 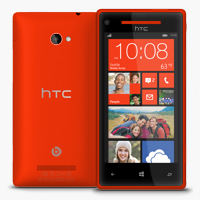 The HTC 8X and HTC 8S will both run the Windows OS. Just like the HTC One X & S, you know more or less what to expect from each of these models that each will have its own selling points. Taking the 8X first of all, it looks great as you can see below ( except the Big Bird yellow colour ). 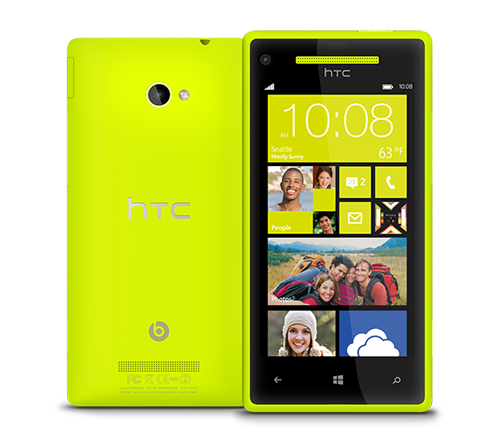 The design looks similar to the Lumia 920 if you ask me, but that again in my opinion isn’t a bad thing. The Lumia is a great looking device and I think the 8X is also equally as good looking. The phone has a 4.3 inch 720p Screen incorporating Gorilla Glass 2. Thankfully Big Bird yellow isn’t the only colour this device will come in, there are a number of different colour options you can go for which are each shown below. My favourite is the ‘blue’, I think it looks purple but I suppose seeing it up close may change my opinion of it. The 8X’s Camera is also quite highly touted, this is an 8MP camera but this isn’t its main selling point. 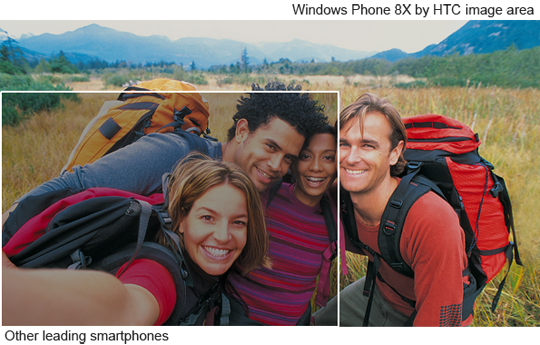 The camera is said to capture almost 3x the image area that a normal smartphone camera does. The image below is taken directly from the HTC website and gives an idea to what is meant by this. Both phones also have Beats Audio, predictable in most HTC phones now considering they more or less have the controlling stake in the company, this is a good addition but not a deal-breaker to most, but might sway some iPhone users over to HTC’s way of thinking! The 8X runs a Qualcomm S4 1.5 GHz Dual-core processor, so isn’t running a Quad-Core monster like the One X or One X + but is pretty quick regardless. Now, taking the 8S. This device looks a bit like some of the Sony Ericsson Xperia devices in my opinion, but again not a bad thing as the device does look pretty good. Like the 8X, the 8S comes in a number of different colour options all of which are shown above. I like the black and white one of these the best but almost every one of these devices look good sporting a 4inch screen that is slightly smaller than the 8X. The 8S is the more lower end device, just like the HTC One range. This still has pretty good specs though but may not be enough for the dedicated smart-phone geek. The 8S has a 1Ghz Dual-core processor but has an optimised battery for this processor and therefore takes less time to charge and has a significantly longer battery life due to the smaller processor. The 5mp camera is also highly regarded but again is obviously a significant step down from the 8X. With the 8S, 7GB of free Sky Drive is offered, this is mentioned quite a lot on their website but to most users of Dropbox or Google Drive, this will be pretty insignificant. I like the look of both variants massively, they look new and modern and different from the ship load of smartphones we are seeing recently. I could be tempted with an 8X, but it would depend on how it matched up to the Lumia 920 and how the roll out of Windows 8 went. 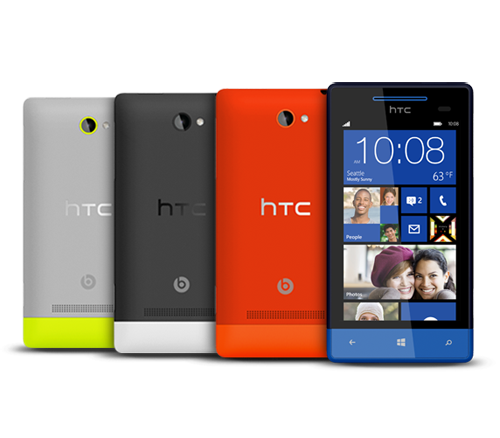 The HTC 8X is said to be going for £400 unlocked and HTC 8S for £225 unlocked when they launch in November, so for me, these are massively more appealing than the £500+ iPhone 5 but like most things, only time will tell if they are as successful as they should be ! Plague Inc App Review ! Make Your Own Movie Kits Review !! 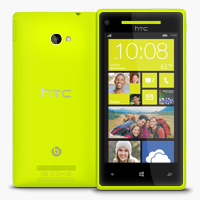 The One 8X and 8S are really slick and yes, thank god it’s not only in Big Bird Yellow! Reblogged this on Software n' stuff.